The Margarita gets lots of love in the US. Partly that’s because of its slightly sour — but wonderful and refreshing — lime taste. And partly it’s because the drink has become synonymous with a carefree, easy-going lifestyle. You know, as in Jimmy Buffett’s song, Margaritaville. 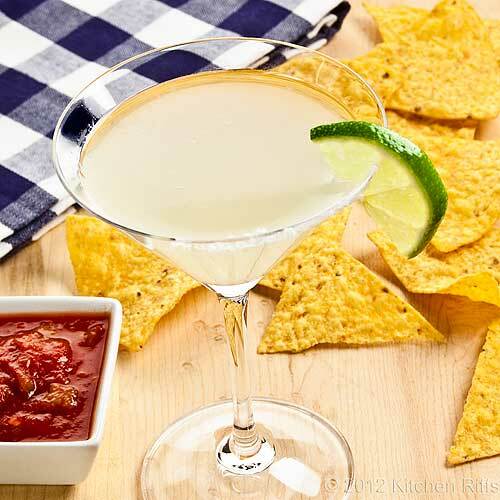 With Cinco de Mayo coming up this weekend, isn’t it time to kick back and sip one? You’ve got the thirst. I’ve got the quencher. When you say “Margarita,” some people think of the frozen version. No thank you. We’re talking the traditional Margarita here. The one that’s made with tequila, triple sec (an orange-flavored sweet liqueur), and freshly squeezed lime juice. This classic is chilled in a cocktail shaker and served up — like a Martini. You can salt the rim of the glass or not (your preference). Or, if you insist, you can serve this elixir on the rocks. But the frozen version? It’s a much sweeter drink (sometimes made with strawberries). It’s a different animal that we’ll discuss another time. You want silver (Plata) or white (Blanco) tequila, and nothing too old. You’re looking for a tequila with a slightly rough flavor, not a fine sipping tequila. Your Margarita should have a pleasantly harsh edge to it. 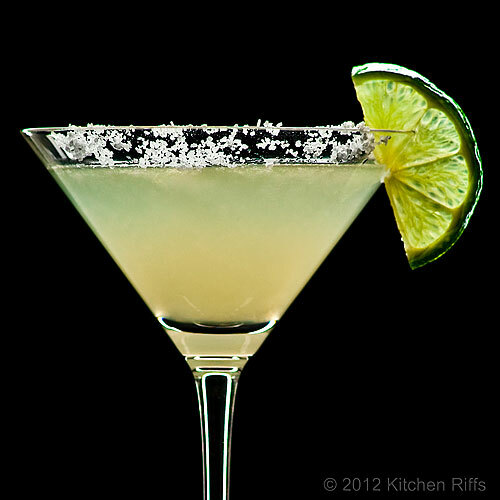 You’ll see a number of different ingredient ratios for Margaritas. I’ll give you my preferred mixture (which is one that David Wondrich also likes), but I’ll also discuss some alternate ways to make the drink in the Notes. This recipe serves 1, and takes 5 minutes to prepare. Scale up the recipe to serve more people. Cocktails are best when served immediately after mixing, so if you want another round, I suggest preparing a second batch. Combine tequila, Cointreau (triple sec), and lime juice in a cocktail shaker that is half filled with ice. Shake well for at least 30 seconds. 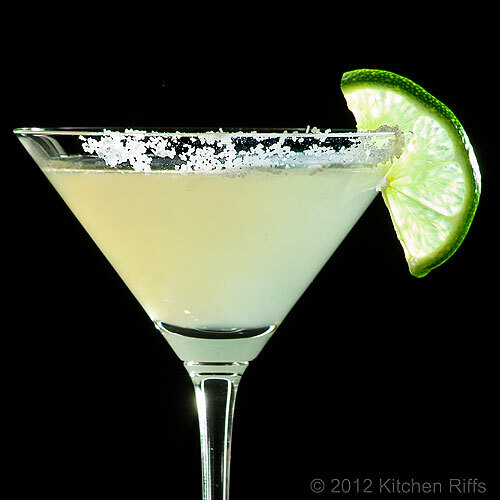 If you want to garnish the glass rim with salt, wet the outside of the rim with lime juice. Dip the outside of the rim in salt, and swirl glass to coat. I often salt only half the rim. Strain mixture into the cocktail glass. Add a lime wheel or wedge for garnish if you like. Serve. Lime (or any citrus) juice is difficult to incorporate into a drink merely by stirring. So it’s better to shake a drink that contains citrus. I most often mix this drink with a 2:1:1 ratio (2 parts tequila, 1 part each of Cointreau and lime juice). That might be too harsh for you, though. It’s also good in a 3:2:2 ratio (1½ ounces tequila, 1 ounce each of Cointreau and lime juice) or a 1:1:1 ratio. You may find these ratios too sweet or too citrusy. Adjust Cointreau and/or lime juice to suit your palate if necessary. For example, a lot of people like this drink mixed with a 3:2:1 ratio (1½ ounces tequila, 1 ounce Cointreau, ½ ounce lime juice). That’s too sweet for me, but it might be perfect for you. Cointreau is a rather expensive triple sec. You can buy much cheaper triple secs at about a fourth the price of Cointreau. But I haven’t found one that doesn’t have an “off” taste (almost a chemical aftertaste). So Cointreau is my triple sec of choice. Many bars serve this drink in a “Margarita glass” — which looks like a giant-sized version of a Champagne coupe or saucer. If you have these, use them — they’re fun! But a traditional cocktail glass also works well. I rarely salt the rim of my glasses, but it’s traditional. Why? Who knows, but it probably evolved from the custom of taking a lick of salt and bite of citrus (usually lime) when drinking a shot of tequila. Fortunately, today’s tequilas are pretty good quality, so such precautionary measures really aren’t necessary! No one knows exactly how or where the Margarita was born. But that’s true of many cocktails; their origins often are not well documented. Maybe Danny Negrete “created the drink for his girlfriend, Margarita,” in 1936 in Puebla, Mexico. Maybe bartender Johnnie Durlesser of Los Angles recreated the Margarita in the 1950s, having had it at some earlier point in Mexico. 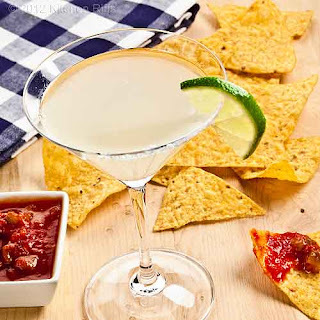 Maybe Margarita Sames of San Antonio, Texas created the drink for Nicky Hilton (of hotel fame; also owner of the restaurant where Johnnie Durlesser worked). Maybe it was created in Bertha’s Bar in Taxco, Texas around 1930. Maybe Danny Herrera created it in 1948 in Tijuana. Or whatever. Search the internet and you’ll find other stories. But one thing is clear: the Margarita is basically a “sour,” like the Whiskey Sour, the Sidecar, and the Classic Daiquiri. All these drinks are made with liquor + citrus (lemon or lime) + something sweet to temper the sourness of the citrus (simple syrup or triple sec). Which leads us to another story about the drink’s origin. But first, some background: Today we call almost all mixed drinks “cocktails.” In the past, though, a cocktail was just one type of mixed drink. There were also cobblers, daisies, and many others — including sours. The daisy is actually a type of sour — one with just a bit of fizzy water added to the liquor + citrus + sweet trinity that is the foundation of today’s sours. (Add more fizzy water and the drink becomes a “Fizz.” As in, a Sloe Gin Fizz.) All of these drinks evolved as tastes changed. Heck, the original Martini was a sweet drink made with red (sweet) vermouth! Why is this relevant to Margarita history? Because, as David Wondrich (cocktail historian extraordinaire) tells us in his book Imbibe!, several “tequila daisies” became popular in Mexico during the 1920s and 30s. One that was made with grenadine evolved into what we now call the Tequila Sunrise. But there was another daisy made with tequila — one that was perhaps even better known, and may have made its first US appearance in Syracuse, New York in 1936. This daisy consisted of tequila, lime juice, and orange liqueur (triple sec). Maybe it had just a bit of fizzy water, or maybe not. Anyway, it sounds like a Margarita, no? And that’s what people were probably calling it, because the Spanish word for “daisy” is “margarita.” So if thirsty people in Syracuse were ordering this drink by its Spanish name, they would be asking for something along the lines of El Tequila Margarita. What a mouthful! Why not just say “Margarita” for short? Which may be how people attached the name Margarita to this particular drink. “No,” I said, upending my glass to get those last few precious drops. “But does it really matter? After all, many of our best-known Mexican/Tex-Mex dishes aren’t “authentic,” as we noted when discussing Tacos. And Cinco de Mayo is celebrated much more enthusiastically in the US than south of the border. “I mainly care about whether a drink tastes good,” said Mrs K R, emptying her glass. “Which Margaritas definitely do.” She eyed the tequila bottle. I took the hint. “Another?” I said as I reached for the cocktail shaker. Correct, as always. Happy Cinco de Mayo! Finally! I think Mrs. KR has the right idea! Hi This is How I Cook, I know, I know - you were thirsty, right? ;-) Thanks for your comment. Great facts and trivia you posted there! Such a wonderful post all around. Hi Simply Tia, it is a temptation, isn't it? Alas, gold tequila just doesn't cut it in this drink, although I'm sure you'll think of something else. ;-) Thanks for the kind words, and the comment. Hi Jay, sounds as if you like this! Thanks for stopping by. 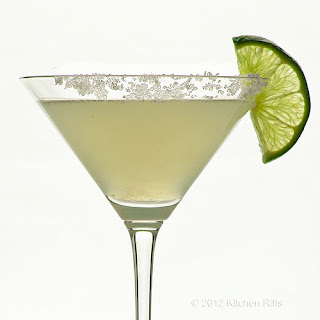 I love a good classic margarita (much better than the sugary frozen version), and this looks great! Thanks for sharing all that fun trivia about the drink as well - and all its possible origin stories! Fun. Maybe this will be "the" margarita I can make that we like!! We've resorted to Skinny Girl Margaritas, which are pretty good and you know I don't usually do pre-made anything, because when I make them from scratch, they just come out awful. Thanks for sharing and enjoy the weekend. Hi love2dine, it does taste good! And very refreshing. Thanks for commenting. Hi Katherine, you make a really good point - there are tons of Margarita mixes out there, and they're all w-a-y too sweet. And that's mainly what you find in the frozen versions, at least at many bars & restaurants (there are some that will use freshly squeezed limes in their Margaritas, but they're the exception, not the rule). Anyway, thanks for your comment. Hi Denise, you can do this! The main trick is finding the ratio of tequila:Cointreau:lime juice that pleases you - and it's mainly balancing the sweet of the Cointreau with the sour of the lime juice. Plus how much tequila you want to taste. Really, it's kind of like making a vinaigrette - it's exactly like balancing the olive oil & vinegar. Thanks for stopping by. I was having serious margarita cravings yesterday. Can't wait for Cinco de Mayo! Hi Lisa, only a couple of more days before Cinco de Mayo so you can satisfy those cravings! And of course tomorrow is the beginning of the weekend, so you can start then! Thanks for the comment. That sure looks good! Have not had a margarita for a while. Thanks for all the tips. The ratios are really helpful. Hi Biren, it's an excellent drink! Glad you found the tips + info about the ratios helpful, and thanks for taking time to comment. This is exactly how I order my margaritas! It's funny because when they bring it to the table I remove most of the salt from the rim just like you show it in the beautiful pictures! Great post! Hi mjskit, a little salt goes a long way! It looks pretty; but usually its flavor doesn't really add to the drink IMO. Thanks for your kind words, and your comment. 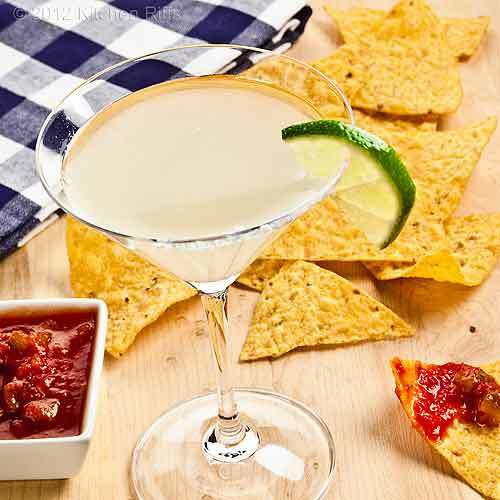 Friday and Cinco de Mayo at the right corner, there is no other recipe but margarita which makes everyone happy! Have a great weekend! Hi Nami, ;-) I totally agree! You have a great weekend, too, and thanks for your comment. The sun is out, it's Cinqo de Mayo here in Australia and this margarita is MINE! Hi Maureen, enjoy! And thanks for commenting. Hi Choc Chip Uru, Pretty, isn't it? You'll enjoy it in 2 years. :-) Thanks for your comment. Hi OCFoodBlogger, it's really great! ;-) Thanks for stopping by. Hi Bam, it's always 5 o'clock somewhere! Sorry about that Jimmy Buffett thing. ;-) Thanks for taking time to comment.